The optimized Firefox 51 lets you view Web pages way faster. Becaus it uses a tabbed browsing, the ability to block pop-up windows and less of your computer’s memory. Also it allows you to synchronize your browsing across multiple devices. Access your bookmarks, history, passwords and more from any device to make Firefox your own wherever you use it. Mozila Firefox 51 has the biggest number of ways to customize your online experience specifically for the way you use the web. The Awesome Bar learns as you browse to make your browser unique. Find your bookmarks, history and tabs when you type in the address bar. You can now play the games some of your favorites right on the Web without sacrificing speed or overall performance. Firefox is leading the charge in online gaming as part of our efforts to make every aspect of your browsing experience faster. Browse With Security. It’s important keep your personal info out of the hands of any online bad guys who might be snooping around. Whether it’s buying a gift, paying your bills or simply signing in to Facebook. Fortunately, Firefox is packed with advanced security features to help you stay safe. Do Not Track. A Firefox innovation, Do Not Track lets you indicate a preference about the way your personal info is collected and used online. Private browsing. Browse the web without saving information about the sites you visit. Turn this feature on to protect your browsing history from others. Forget Button. Remove browsing information from your computer after the fact. Use it when you’ve visited a site that you don’t want in your history. Secure connections. Use instant Website ID to make sure a site is what it claims to be and to check if your connection to it is secure. World class protection. Anti-phishing and anti-malware features protect you from trojan horses and spyware. You will be warn about potentially fraudulent sites. Automatic security updates. Firefox updates automatically to make sure you always have the latest and greatest security fixes. Customize: Add-ons. Many of the most popular add-ons are extensions, little extras you download to add more bells and whistles to Firefox. Compare prices, check the weather, listen to music, update your Facebook profile. All built right into the browser! Adapt Your Interface. 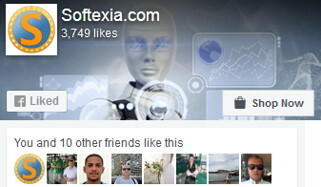 The interface has been designed by a team of experts and tested by a community of millions of users around the world. Hence, your browsing is as easy and intuitive as possible. But, you can always adjust the interface to be exactly the way you like it. You are able to re-arrange, organize, add or remove buttons or fields to change your browsing experience however you want. Stay In Sync. You can access your browsing history, passwords, bookmarks and even open tabs no matter which device you use. Now you can surf the Web on your desktop, get up in the middle of browsing and have your open tabs ready and waiting on your mobile, just as you left them. Hence, your browsing will never be the same! Especially relevant, the best add-ons for privacy and security have been gathered in one great collection. It sorted by the featured, top rated and most popular. Choose from 5000 free extras to make your browser look and function the way you want. Add-ons make browsing easier. Add-ons are like apps that you install to add features to browser. They let you compare prices, check the weather, listen to music, send a tweet and more. Extensions. Extensions add new features or modify existing ones. There are extensions that allow you to block advertisements, download videos from websites. Furthemore, they can integrate Firefox with websites like Facebook or Twitter, and even add features from other browsers. Appearance. There are two types of appearance add-ons. Complete themes, which changes the look of buttons and menus. And background themes, which decorate the menu bar and tab strip with a background image. Plugins. Plugins let you add support for all kinds of Internet content. These usually include patented formats like Flash, QuickTime, and Silverlight that are used for video, audio, online games, presentations, and more. Plugins are created and distributed by other companies. Whether you’re using Windows 10, 8.1, 8, 7, Vista, XP or Mac OS X with Firefox, you’ll also enjoy hardware acceleration for many common operations. Such as watching videos or playing games. Moreover, Firefox uses a new layers-based graphics system. It takes advantage of Direct2D and Direct3D on Windows and OpenGL on Mac to deliver amazing performance even on graphics-heavy sites. Wrong info, Firefox 51.0.1 has not been released, is only RC1, RC2 and RC3 till now. The warning will turn into a block. I had a link to a news article but admin removed it. AD Blockers may end up on the block list. Firefox 39 will begin warning about unsigned extensions.